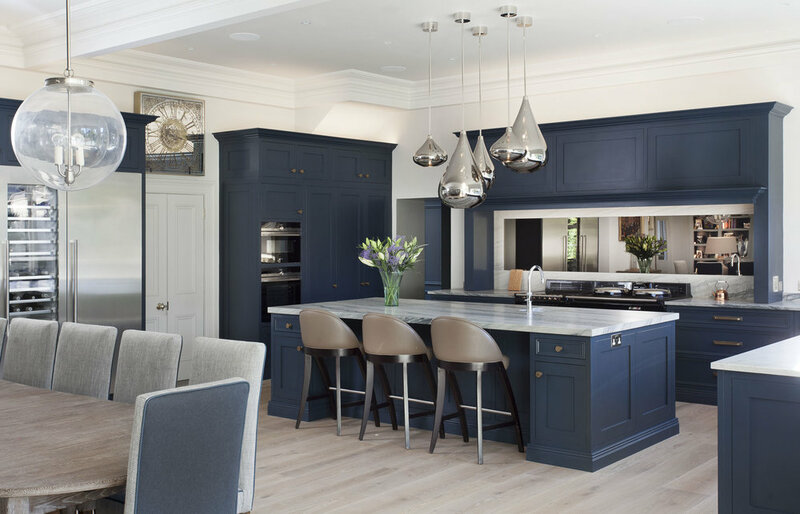 In this beautifully extended period home we designed and handmade one of our luxurious painted kitchens. 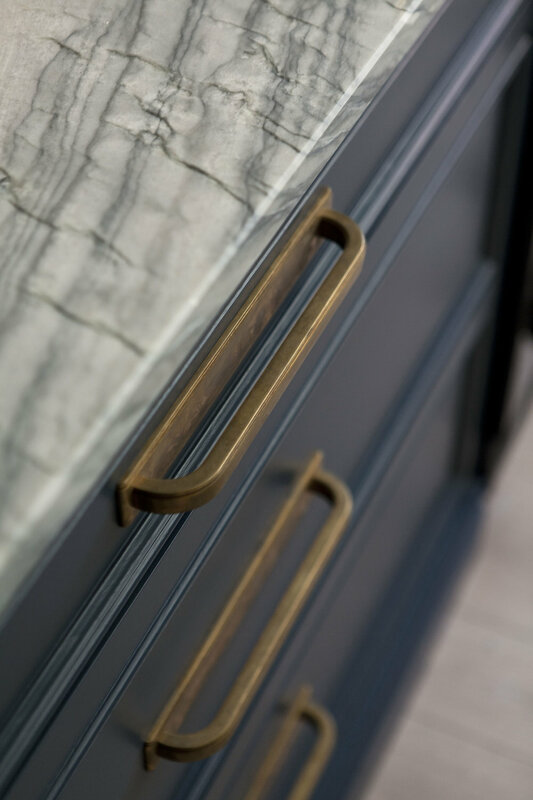 The exquisite detailed cabinetry is hand painted in our signature matte finish. The extra height ‘Elegant White’ quartzite on the island from Miller Brothers Stone adds to the overall sense of luxury.